What people say about your company online matters more than ever in our hyper-connected digital world. According to Nielson, 92% of consumers trust suggestions from friends and family more than advertising, and 74% say their feedback is a key factor in their purchasing decisions. Despite these high numbers, only 33% of businesses actively ask for and manage their reviews. The number of prospects who will do online research before purchasing will only keep growing, making word-of-mouth marketing more important than ever. Integrating as few as five reviews has been found to boost website’s conversions by 270%. Collecting and managing your company’s online reviews is no longer an optional part of your digital marketing strategy. You need to start leveraging what others are saying about your company. Keep reading to learn more about how online reviews can increase conversions, how we optimized our company’s Clutch profile to squeeze the most out of every word-of-mouth marketing opportunity, and how to get started collecting and managing online reviews. Yes, it’s okay if your company has received a few less than stellar online reviews. Why? Authenticity. Negative reviews will give your leads an idea of what might be the worst thing that could happen (not to mention that they can give you an opportunity to improve). If you only have are glowing online reviews, it can hurt your credibility with some potential customers and make your endorsements come off as fake or disingenuous. It’s no longer enough to only have a nice website that is functional and aesthetically pleasing. To ensure your company grows, start thinking differently about your digital marketing strategy and include tactics for managing your reputation using online reviews—both good and bad. TBH Creative’s digital marketing team has helped hundreds of different clients build websites and execute marketing campaigns that deliver results. Though we know this is true (and our satisfied customers do too), how do our prospective customers know this claim is valid? After all, any web design and development agency can tout accomplishments or make claims that they’re the best. Wishing for the best (aka, “do great work and keep your fingers crossed that you get a referral”) will only get you so far. That’s why we started to work with Clutch, a third party ratings and reviews site. Clutch is a B2B market research firm helps people find service providers that match their needs and budget by ranking companies in different industries based using testimonial information from their past clients. As part of their thorough evaluation process, Clutch used objective quantitative information to assess TBH Creative independently. They interviewed past clients to verify their relationship with our team as well as the revenue our work generated. Be sure to visit our profile on Clutch to read all of them. Recently, Clutch gave TBH Creative top honors by featuring us on their prestigious Clutch 1000 companies list and including us on their 2018 list of the best conversion rate services companies in the United States and they ranked us as one of the six best web design agencies in Indiana. Both distinctions mean a lot because only select companies are viable for inclusion because when they consistently receive positive reviews from clients. We also learned that we’ve been recognized by their sister website—The Manifest—on their list of notable digital marketing agencies in Indianapolis. 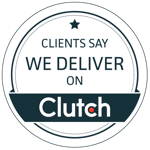 As a ratings and review company, Clutch has been helpful because their service provides an opportunity to hear direct feedback from previous clients. Collecting these online reviews gives us clear direction on how we can learn and grow as a company to better serve our current—and future—clients. Every year, the significance of having a strong online presence is growing, and we recognize how vital it is for companies to partner with the right type of digital marketing provider. Now, with our company profile at Clutch, TBH Creative has a new way to increase conversions and effectively manage our brand reputation. People who arrive at your website from a random Google search are going to be more skeptical and less likely to convert than people who click-through to your website because of word-of-mouth marketing because those online reviews and referrals tend to come with some trust-built in. 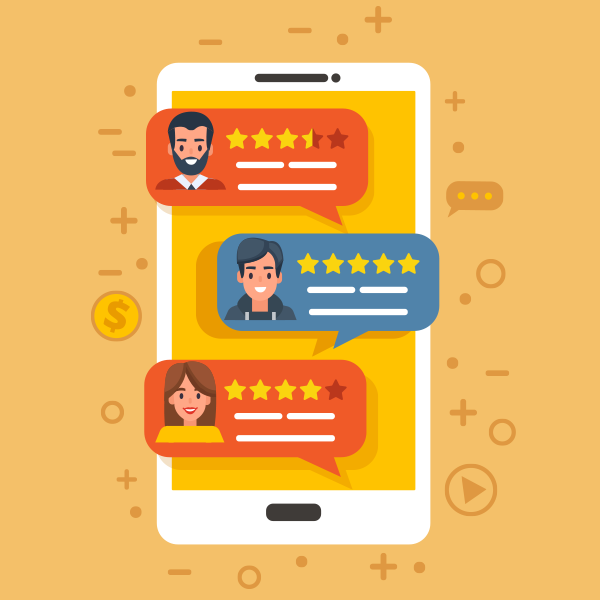 Most customers read an average of seven reviews before they trust a customer, according to BrightLocal, and 49% reported they need to see at least a four-star rating before they’ll choose to buy a product or service. Are you collecting reviews from your customers yet? If not, get started by putting together a plan together to start getting endorsements. Most of the time, if you aren’t actively asking for feedback, you’ll only hear from customers when they are dissatisfied. When making an ask, let your customer know how important reviews are for your business (and don’t forget to give them tips on how to leave feedback). If you can make the ask personal instead of automated, all the better! It will mean more to your customer if the request for a review comes directly from someone on your team. Find out where people are going to evaluate your company, and focus on that service for collecting and managing your reviews. After some research, we found that Clutch was a good fit for TBH Creative, but your best bet might be to use Yelp, Google +, or some other service. When a customer leaves feedback, whether it’s positive or negative, show your company is engaged and listening by responding helpfully, promptly, and courteously. Regularly think about new tactics you can add to your word-of-mouth marketing strategy to collect additional online reviews. Maybe that means including a notice in your email signature, adding a link in your footer, or bringing comment cards to events? If you’re doing a good job, capture those online reviews by making sure you’re getting that feedback from your customers in a way that you can share it with your leads. Online reviews are an invaluable digital marketing tool for boosting conversions. Think of them as the internet’s helpful way of showing your leads that your company is doing something right. Make sure you’re doing everything you can to put this feedback to work for your customer to retain your current customers and attract prospects.